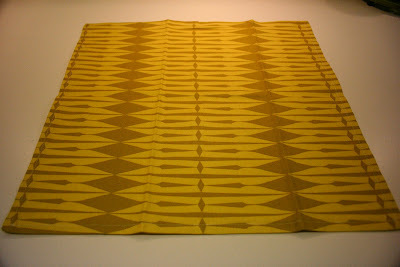 During Snowmaggedon 2010, I also took the time to make a boatload of cloth napkins. 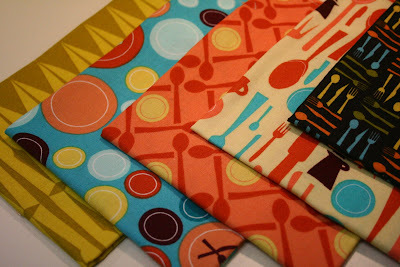 A few weeks back, I found a great deal on some Lizzy Dish fabrics by Lizzy House (whose fabric I've used in previous projects). Becauce orders of $35 or more got free shipping, I ended up buying about 8 yards of the stuff, so I've locked myself into many, many kitchen projects...adorable, adorable kitchen projects. 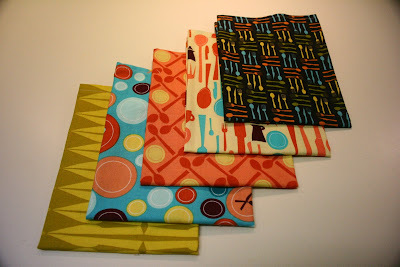 I had long wanted to make fabric napkins for a few reasons. First, they're easy to make. Second, they're a good way to tap my fabric stash, and finally, I'd thought cloth napkins were more environmentally friendly than using paper towels. I read into it, though, and it appears as if it really depends on the circumstances as to whether or not cloth napkins are indeed greener. Basically, if you can stand to use a cloth napkin for several uses before laundering it, then you're good to go on the green front. I used this tutorial from Urban Nest to make nice, tailored napkins with mitered corners; although I did alter it a bit to fit my needs. The tutorial is for cocktail napkins, which were a bit smaller than I wanted. 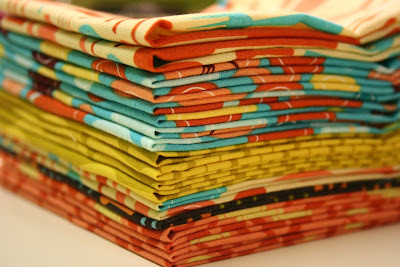 So instead of cutting 12" x 12" squares of fabric, I used 16" x 16" squares for more dinner-sized napkins. 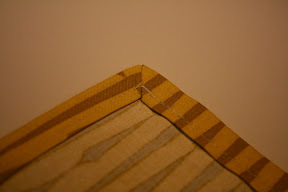 Additionally, the tutorial calls for 3/4" seams. I tried it out and it was a little bigger than I wanted, so I altered the triangular template from one with 1-7/8" sides to one with 1-1/2" sides. 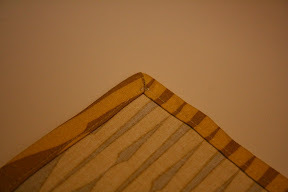 This produced something more like a 1/2" seam, which I liked much better. In the end, I used up about 3 of my yards and churned out 19 napkins. I'm a machine! 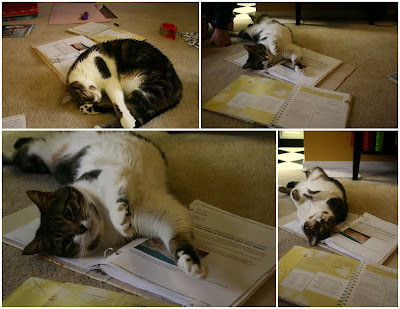 And for kicks, here are more gratuitous shots of Pete "helping" me out. bahhh...love pete and his/your shenanigans!